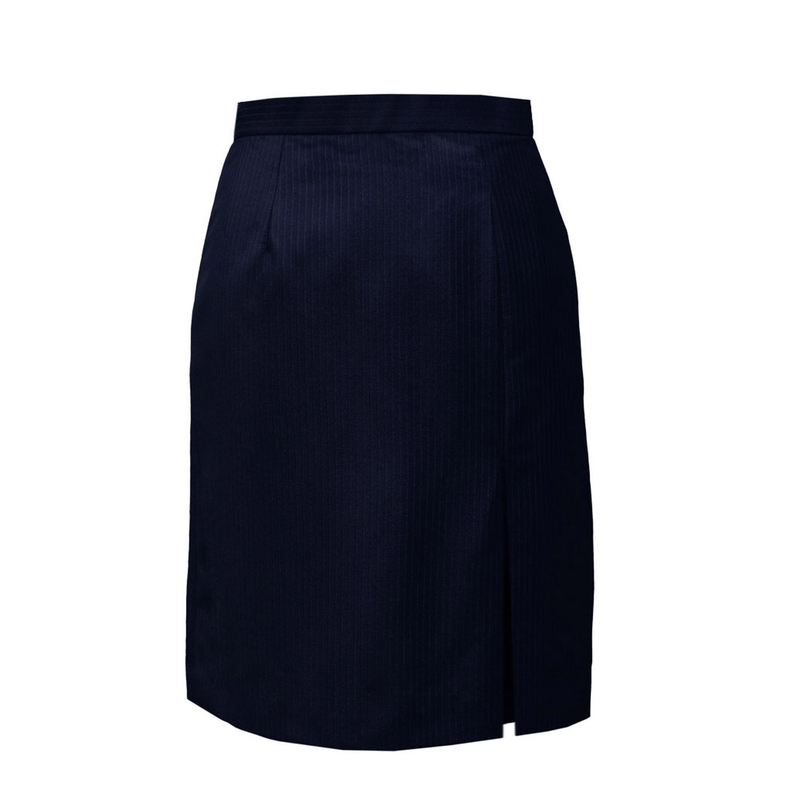 The Gina petite skirt is a knee-length, navy A-line style with an inverted pleat at front left, giving ease for comfortable wear at the office. 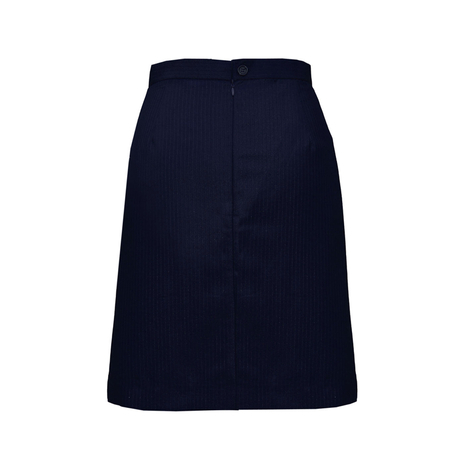 It is a sixties-inspired skirt with a modern metallic finish, fully lined and secured by a concealed zip and button at the back. Gina is a fitted style. Skirt length is 51cm. Our model is 5'3" and is wearing a size 8. 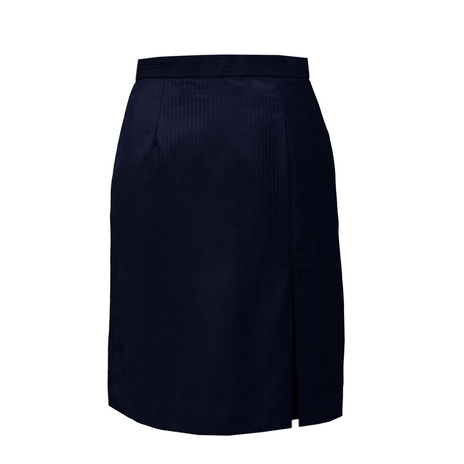 To ensure this petite skirt fits you perfectly, please refer to our size chart. COMMENTS : This skirt looks better on slim women but I kept it to complete the suit at such a cheap price. COMMENTS : I was overwhelmed with the quality of this skirt at such a low price!. Smart, stylish, and practical for work, this Sixties-inspired skirt is on-trend with this season's metallic trend. Wear it with a crisp, collared shirt for a preppy look and matching Gina jacket as a suit for the office. For less formal days, tone it down by layering a chunky knit on top to mix contrasting fabrics with the metallic skirt.